This SPF – 15 Lip Balm with Leash has been highly popular for several years now. 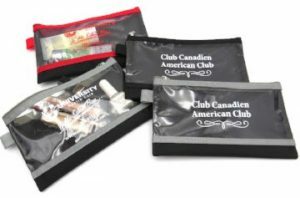 Great for golf tournaments, back to school packets, run or walkathon participant bags. 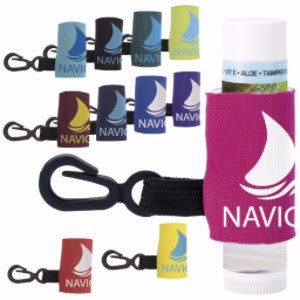 With a full color imprint on the tube and a 1 color imprint on the leash, your imprint continues to have impact even when the initial lip balm is used. Leash will accommodate all standard lip balm tubes. With 18 flavors and 11 leash colors you have almost 200 combinations of the USA made lip balm to choose from. Leash colors: forest, red, black, royal, yellow, pink, navy, maroon, purple, aqua, neon green. Lipbalm flavors (choose 1): Root beer, bubble gum, citrus punch, melon, tangerine, peppermint, apple, cherry, citrus, coconut, tropical, vanilla bean, peach, razzleberry, chocolate, green tea, fresh mint, pomegranate. Sale price 1.45 ea, 100 min. 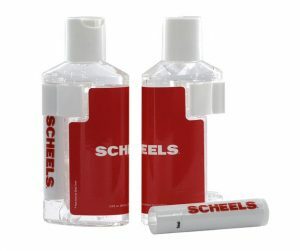 includes full color imprint on the lipbalm tube and 1 color imprint on the leash. Imprint area: 4 color process on tube – 1 3/4”w x 1 3/8”h; 1 color on leash – 1 7/8” w x 1 1/4”h Item # E41025. 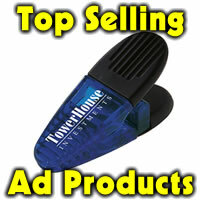 Looking for a handout for your next business convention booth or a thank you gift for customers? Great for gyms and business that wants people to drink more water or encourage people to do so. People will flock to your booth to pick up one of these 25 oz. PET sports water bottles which features a fruit infuser that’s easy to use! It’s designed to let the liquid flows around and through the fruit to flavor the drink; simply add your favorite fruit to the inner basket. This clear bottle has measurement markings up the side and it’s accented by a frost lid and colored spout. Sustainable and recyclable, hand wash only, BPA Free – Lead Free, HR4040-CPSIA Certified, CA Prop 65 compliant, and made in the USA. It’s FDA approved and directions state: Do not microwave. Product is 10-5/8″ high. Imprint area is 3-1/2″ x 3-1/2″. Min is 300 bottles. $55 set up. 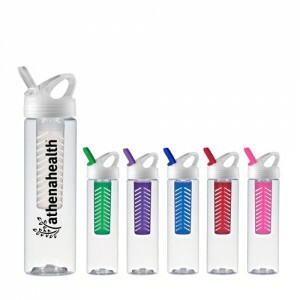 Bottles come in the following colors: Clear/Blue, Clear/Green, Clear/Red, Clear/Purple, Clear/Clear, Pink/Clear. 300 4.12 ea, 500 3.85 ea, 1000 3.42 ea, 2500 3.22 ea. Want to promote your health related business? Do your clients are using the correct Spartagen dosage before take their own measurements? 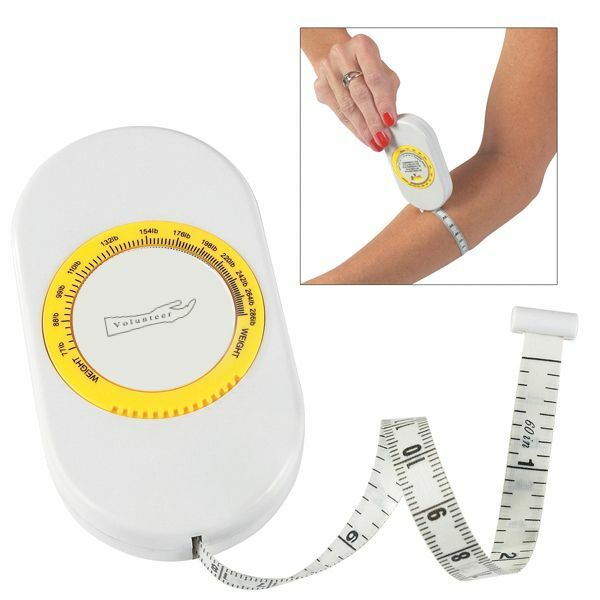 This body tape measure with BMI scale is sure to be a popular item. 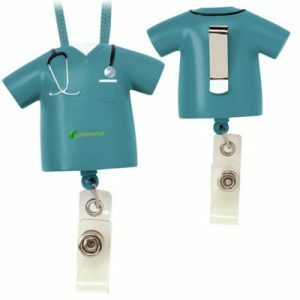 The 60″ cloth tape with metric / inch scale retracts inside. Item is 2″ x 3-3/4″. Your logo on one side in 1″ x 1/2″ imprint area. Min is 100 at 2.78 ea, 250 at 2.42 ea, 500 at 2.10 ea, 1000 at 1.83 ea. Set up is 40.00. Item number 7368. 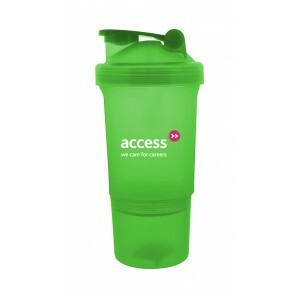 Looking for a container where you can hold protein mix and the liquid to mix it in? The double shaker cup holds 1/2 cup of protein powder in the bottom container and up to 19 oz. of liquid in the top. Available in blue, green, pink or clear. Imprint area is 2″ x 2″ and min is 100 bottles. One color imprint 100-249 3.09 ea. 250 3.05 ea, 500 2.99 ea, 1000 2.95 ea. $50.00 set up. Rush available one color imprint, one location for 30 cents ea add’l. 100 min for rush. Item number S744.